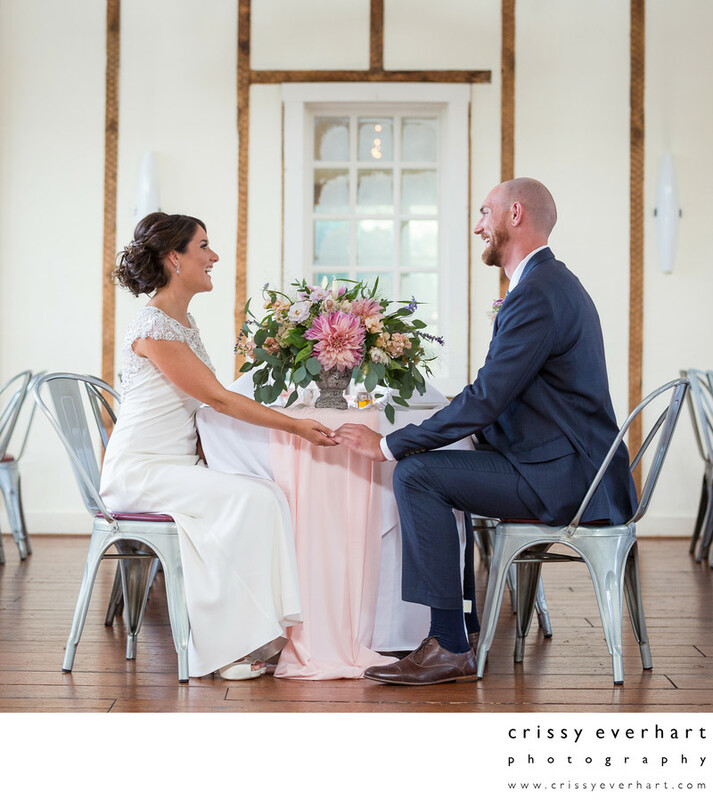 The Gables in Chadd's Ford was decorated in pinks and whites for this summer wedding in Chester County, Pa. The bride and groom sit at the guest tables and hold hands, laughing and smiling with each other. Location: 423 Baltimore Pike, Chadds Ford, PA 19317.